What was the Space Shuttle program? The Space Transportation System (STS), better known as the Space Shuttle program, was NASA’s primary piloted space program for three decades. The space shuttle was designed in the 1970s as a half-spacecraft/half-airplane reusable system that could frequently ferry people and cargo into low Earth orbit and back. 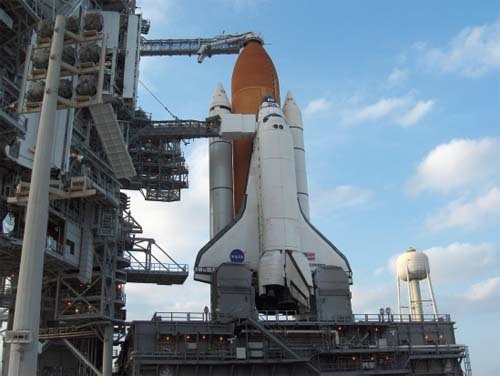 There were 135 space shuttle flights in all between 1981 and 2011. Although it had a checkered history marked with cost overruns and two terrible tragedies, the shuttle program also created tremendous successes in human spaceflight and helped scientists and engineers understand what life in space—and the process of coming and going from space to Earth and back—may someday be like. The space shuttle Discovery on a launch pad, ready to take off. The shuttle program was concluded in 2011.